How do we escape from this hell that we have created? Will We as a global people use this horror of the Deepwater Horizon to awaken to a global consciousness? Yesterday, on Father's day, I put this little movie together using Coldplay's Death and his friends. Many of the pictures are from our recent trips, but many came simply from an intense Sunday of Google images. It's remarkable what can be done in a few hours with iMovie and intensity. It's equally amazing how we have allowed ourselves to have become so lost in the shadow of our own creation. Like Zombies, we roam the earth pillaging and preying. But as Creatures of Light, we can make our world whole again. Now that the so called Top Kill is officially dead, we seem to be moving forward with a new nice acronym called the LMRP (Lower Marine Riser Package). BP wants to cut the DP and put the LMRP on the BOP before they are SOL(LOL). Which they may already be because Attorney General Holder has just announced that he's starting a criminal investigation about the whole issue. For the second stage in the process, the riser and pipe will be cut, at the top of the BOP using a wire saw to cut through both pipes. The diamond wire, which is held under tension in the design, should give a relatively smooth surface that can be used for the sealing surface to the LMRP." If you are a gear queer. you can follow it all here. This hasn't seemed to have gotten much circulation yet, and I think it really needs to. Seems that a crew from Schlumberger, on contract to BP, hightailed it off the platform at their own expense 6 hours before the blowout because BP refused their recommendation to shut down the well. "BP contracted Schlumberger (SLB) to run the Cement Bond Log (CBL) test that was the final test on the plug that was skipped. The people testifying have been very coy about mentioning this, and you’ll see why. SLB gets out to the Deepwater Horizon to run the CBL, and they find the well still kicking heavily, which it should not be that late in the operation. 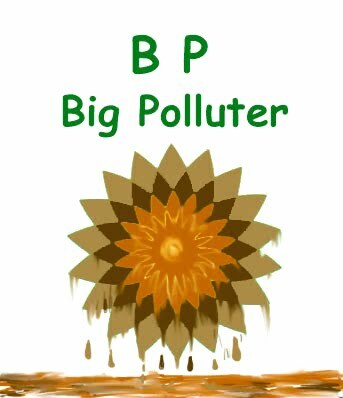 SLB orders the“company man” (BP’s man on the scene that runs the operation) to dump kill fluid down the well and shut-in the well. SLB in the very next sentence asks for a helo(copter) to take all SLB personel back to shore. The company man says there are no more helo’s scheduled for the rest of the week (translation: you’re here to do a job, now do it). SLB gets on the horn to shore, calls SLB’s corporate HQ, and gets a helo flown out there at SLB’s expense and takes all SLB personel to shore. Six hours later, the platform explodes." BP has a big problem.